Over the years, the interest in ancient construction has grown globally. More have been using natural building materials in response to an increasing awareness of sustainable building methods. These materials are safe alternatives to toxic substances. The investment required to build with them is usually higher, because of the labour required to build with them, but if sourced right and used right, these natural building materials can be more cost-effective in the long run. Here are a few ancient natural building materials that builders are re-learning to use for their architectural projects. In recent years, bamboo has seen a rise in popularity among builders. As the largest grass family of plants, bamboo is among the most sustainable natural building materials, as it is easy to plant and it grows very quickly. Although it requires treatment against rot and pests, bamboo shows impressive durability and strength, having better tensile strength than most other building materials, including timber and steel. It has many possible applications on both indoor and outdoor architectural elements, such as trusses, facades, and even plumbing. Adobe bricks are made of a mixture of clay, sand, straw, and asphalt. They are stacked with a mud mortar to build thick-walled structures. The bricks absorb excess heat during the day and slowly release this heat at night, making them a material of choice in warmer climates. In colder climates, they are insulated during winter to prevent too much heat loss. The material is durable, as seen in a number of historical adobe buildings that still stand today. An adobe building can be plastered to enhance its durability. To give it resistance to moisture, the mixture can be mixed with a small amount of stabiliser such as Portland cement. The primary material for some of the oldest buildings in the world, cob is made of moist earth and fibrous material, usually straw. Like adobe, it is made of earth, but unlike adobe that is formed into bricks, cob is usually mashed on top of a stone or concrete foundation to form a monolithic wall. Although quite labour-intensive and time-consuming to build with, cob is a particular favourite of natural builders for its sculptural qualities, affordability, strength, and ease of use. With superior thermal mass, it is suitable for both warm and cold climates. Straw-clay is made from loose straw coated with clay slips. It is commonly used as an infill for timber structures. Using the same technique, builders can combine wood chips with clay to create bricks. Many straw-clay buildings look like “conventional” structures, making it an appealing option for homeowners who would like to use natural building methods. Thatching is a loose term for using straw or grass as a building material. Compared to builders with experience in modern roofing, thatchers are significantly rarer. The rarity of thatching practitioners and the fact that thatching is a time-consuming process makes thatched roofs quite costly. Despite costs, recent years have seen thatch regain popularity, primarily among supporters of natural building methods. 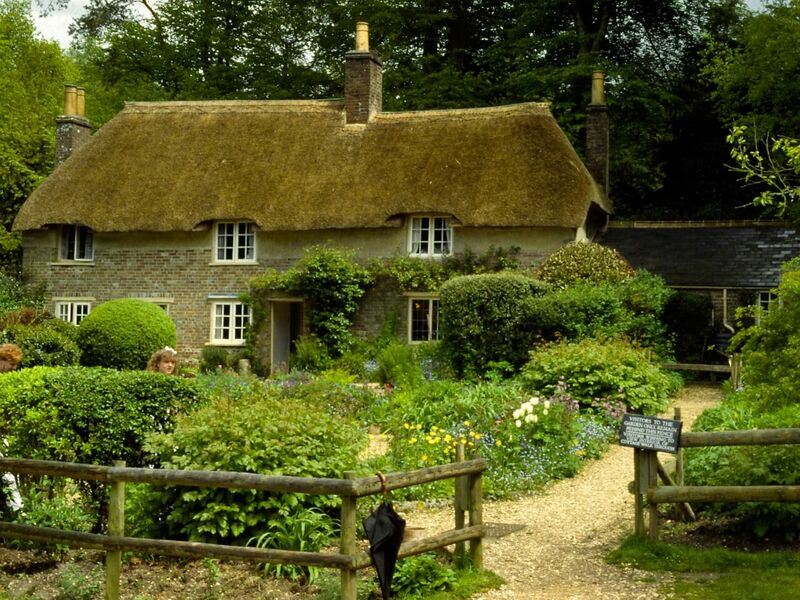 Thatched roofs are favoured for their good insulating properties, their durability, and their unique look. There is a growing interest in using fibre-producing plants such as hemp as building products. Hemp, in particular, can be used to make roofing tiles, wallboard, and fibreboard. Some use hemp to insulate their homes, with its high resistance to heat flow and ability to absorb moisture. Although expensive to procure due to varying laws on cultivating the plant sources, hemp and other fibres are highly renewable natural building materials. The plants can grow in degraded soils and need little chemical treatment. Commonly used for flood control and to create military bunkers, earthbags are fabric sacks or tubes filled with soil. When applied with plaster, they are ideal for creating walls and domes. They also serve as suitable material for foundations, particularly in flood-prone areas. Building with earthbags requires few tools, minimal soil treatment, and minimal cost. For these reasons and the fact that earthbags are easy to transport, they are good materials for disaster relief housing. Baled straw is a popular construction material all over the world, and being highly renewable, it is among the most favoured natural building materials. It is commonly used as an infill or as a load bearing system for roofs. Aside from providing good insulation and sound absorption, lightweight baled straw is easy to work with using the simplest of tools. Initially a popular material mainly for low-rise projects, timber is now a prospective material for skyscrapers, with the birth of new types of engineered timber. Cross-laminated timber, commonly referred to as CLT, comprises layers of lumber stacked in alternate directions then adhered together. It is substantially stronger and more stable than regular wood, yet lighter than steel and concrete. Consult Adelaide building designers before you build.